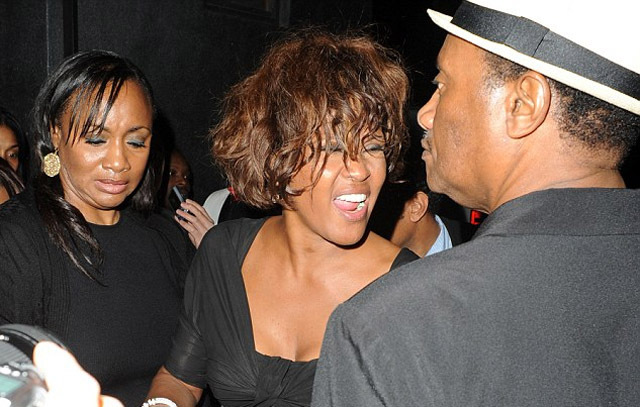 As details on the sudden death of 48-year-old superstar Whitney Houston continue to surface, the cause is still unknown. All we know so far is Houston was found dead at a Beverly Hills, California, hotel by R&B singer Ray J. “I’m tripping right now,” he told CNN. The entertainer was pronounced dead at 3:55 p.m. (6:55 p.m. ET) at the Beverly Hilton Hotel despite resuscitation efforts, a police spokesman said. 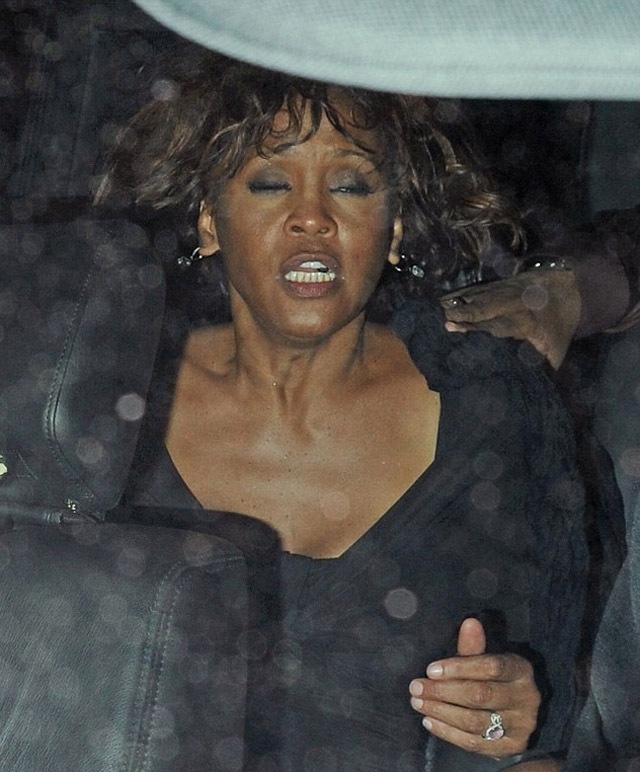 UPDATED: Whitney Houston was found dead in her hotel bathroom by her bodyguard Ray, not the R&B singer Ray J. The night before her death, Houston attended a party at Tru Hollywood, where she had been a guest at the Kelly Price & Friends Unplugged: For The Love Of R&B Grammy Party. 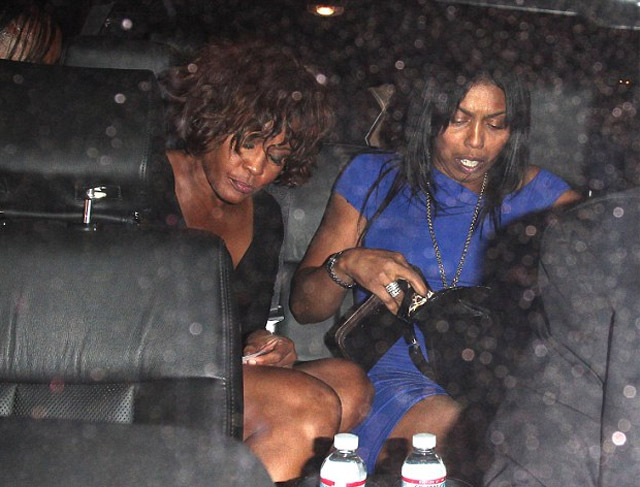 Whitney appeared intoxicated and in need of assistance. 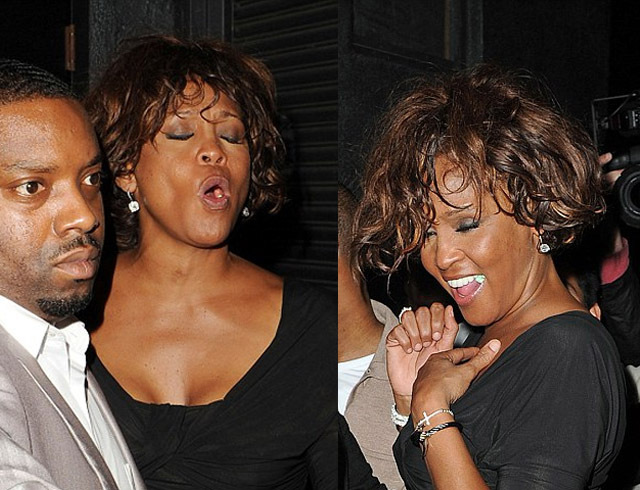 According to various reports, Whitney got into a physical fight inside the club allegedly over R&B singer Ray J, but that has yet to be confirmed. While no-one is certain what went on inside, it's a fact that she stepped out looking ruggish. Not only was her hair a mess, some say she had what is believed to be blood dripping down her leg and scratches on her wrist and she had to be escorted from the club to her car by a few people. Her entourage guided her into the back of a large vehicle as the singer signed some autographs before being driven off.